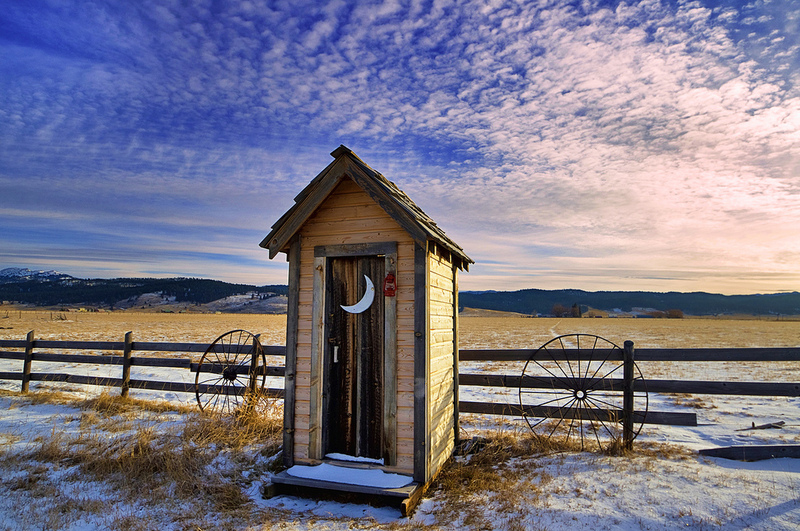 As I was once a small-town girl who grew up in the beautiful and rural outreaches of western Pennsylvania, it was not such an uncommon thing to have to use an outhouse. This was never something I did willingly. It was only by sheer and painful necessity that I would enter such an old and rickety structure. Rank with the smell of soiled earth and gloomy dark save for the light that streamed through the cracks, the outhouses were inhabited by large, spindly spiders that sat menacingly perched on the web-laced walls. And often tucked away and coiled in the corners were black snakes common to the region. My dilemma was always whether to close the door for privacy or keep it open for a quick escape. If a picture is worth a thousand words, what does this photo say to you? Tags: educated writer, home of the educated writer, kerri s. mabee, outhouse, quick write, quick writes for writers, the word, writing exercises. Bookmark the permalink.